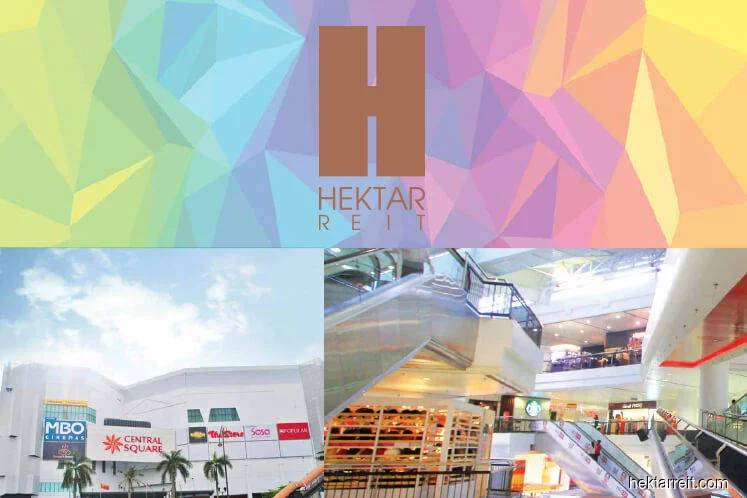 KUALA LUMPUR (April 16): Hektar Real Estate Investment Trust's (Hektar REIT) plan to double its assets value to RM2.4 billion by 2026 remains on track, and it is currently in talks to acquire a retail asset, according to the REIT's manager. The asset is a shopping mall located outside the Klang Valley, said Hektar Asset Management Sdn Bhd. Its executive director and chief executive officer, Datuk Hisham Othman, said Hektar REIT's strategy is to own malls in geographically diverse locations. "The majority of our malls are doing well, mainly because they are the only mall in the town or the number one mall in the town. "This strategy has been very good for us and we will continue (to execute the strategy)," he added. In comparison, malls in the Klang Valley are facing tremendous challenges, due mainly to overbuilding, Hisham said. "In Klang Valley, the retail space per capita is even higher compared to Singapore," he said. As at Dec 31, 2018, Hektar REIT's assets were worth RM1.22 billion. "There are a lot of malls on sale, but because we are a REIT, we need to be very selective on the malls we acquire. Most importantly, (the assets) must be yield accretive," he added. Hisham said Hektar REIT hopes to see a 10% to 20% reduction in the average energy consumption by its malls by 2022. For the financial year ended Dec 31, 2018, Hektar REIT's net property income rose 6.8% to RM78.7 million, from RM73.74 million a year earlier, while revenue increased 7.6% to RM135.11 million from RM125.54 million.